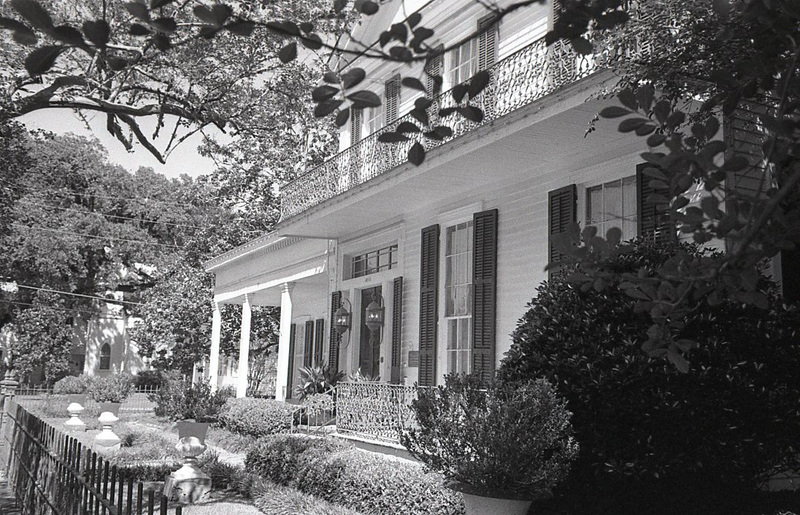 A small town in Southeast Louisiana, St. Francisville was founded in 1809 and is home to a large number of historic buildings and homes that are representative of the time period. There’s a Wiki page that has some general information, but you might have fun clicking on the “Myrtles” Wiki link you see. Ghosts! Speaking of, I feel like I’ve been a ghost lately. Not posting and just reading and silently admiring life happening through the posts of the WP bloggers I follow. I’ve been a busy guy, but admittedly a bit lazy, too. 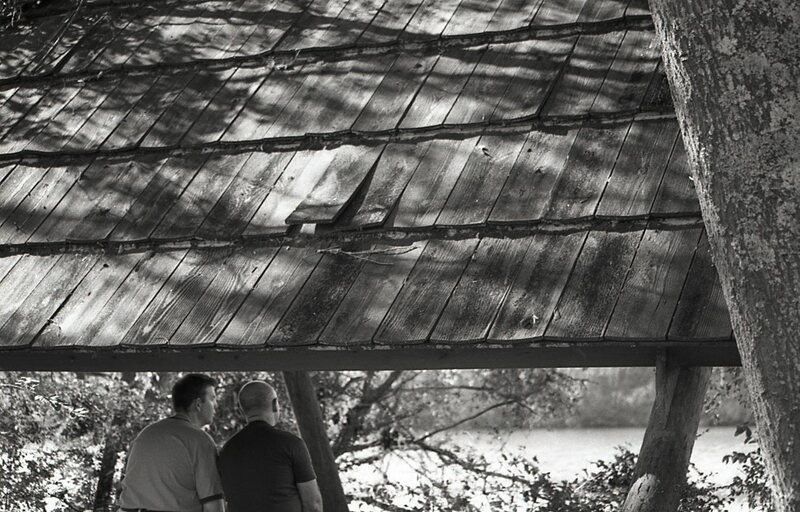 I hope you like the photos I took during my last trip to St. Francisville. They come from my first attempt at B/W film using a point-and-shoot camera. 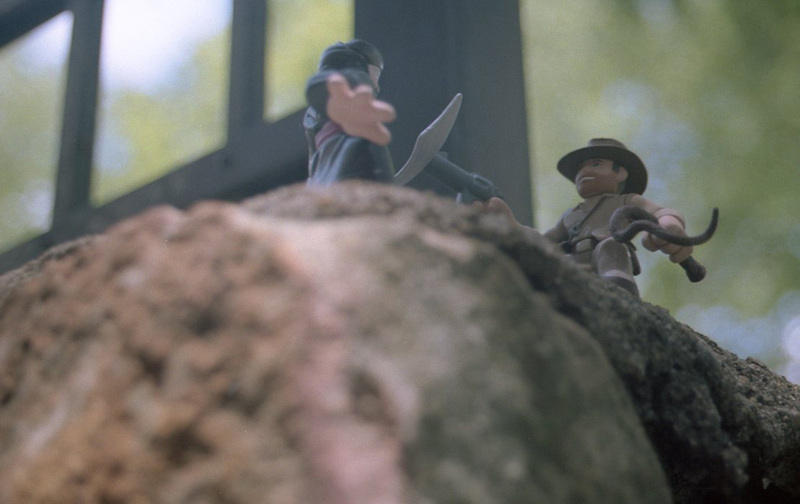 The Olympus Stylus Epic has blown my mind once again. I took a bunch of photos, and almost all of them turned out beautifully, only needing a small tweak because of the intense midday sunlight I was working with. 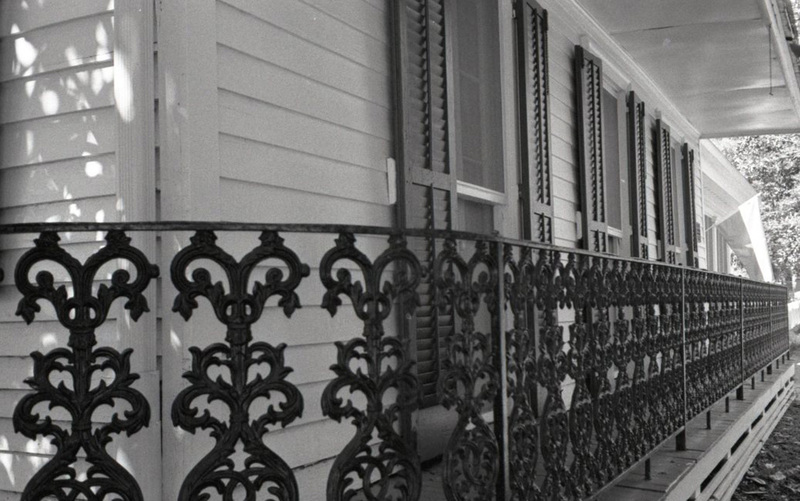 I will admit the photos are rather touristy, but the deep South is not a place where one walks up to someone’s house taking pictures at their doorstep. The police department, the courthouse and the jail are all a block from where these photos were taken, if you know what I mean. I’m going to break the photos up into a few posts, so let’s get started with the first post. 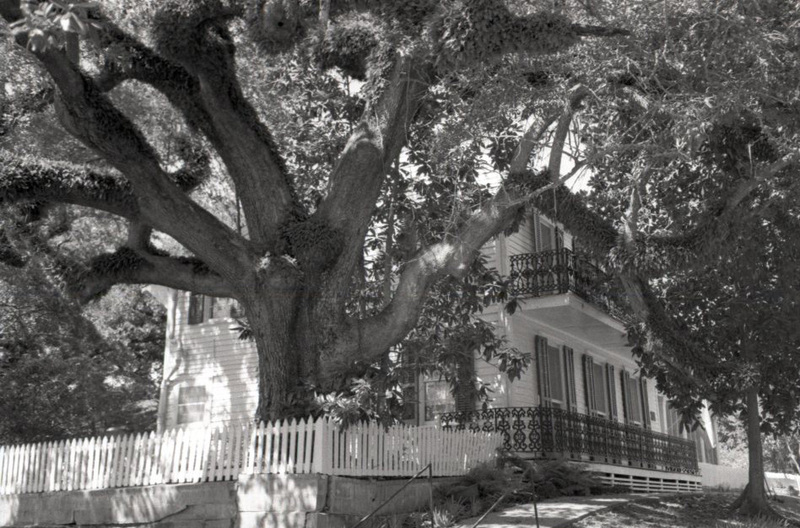 This is a house along what is a long street of historic homes. I didn’t have my notebook with me, so I can’t tell you the name of it. Funny thing, though, I met the owner’s son just before I took this photo. The kid was completely oblivious to why people stop to take photos of his house. Poor kid. This is a house that tends to be a repeat photo every time I go home to visit. Something about this place makes me want to take rolls of photos. I really do wish I could get closer to this place. The detailing is simply breathtaking. Perhaps next time I go home, I’ll walk up to the door and ask. Hopefully there aren’t any mean guard dogs trotting around. 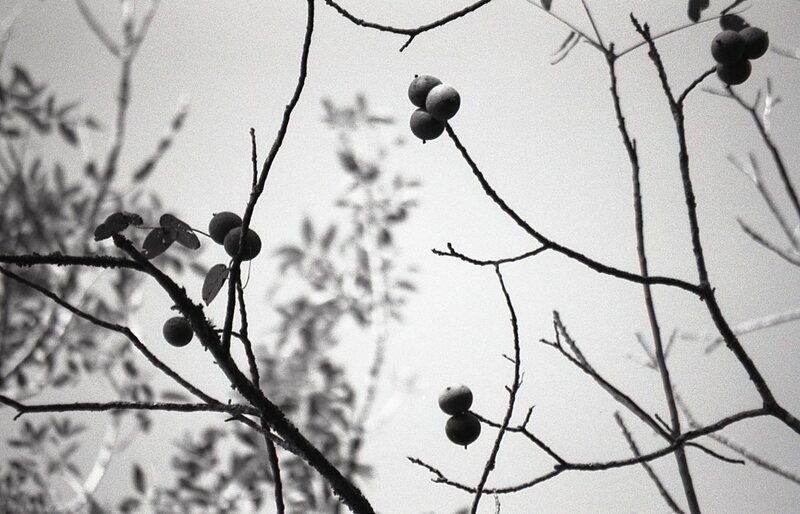 The combination of the bright sunlight and ASA400 film produced a lot more grain than I wanted in these. 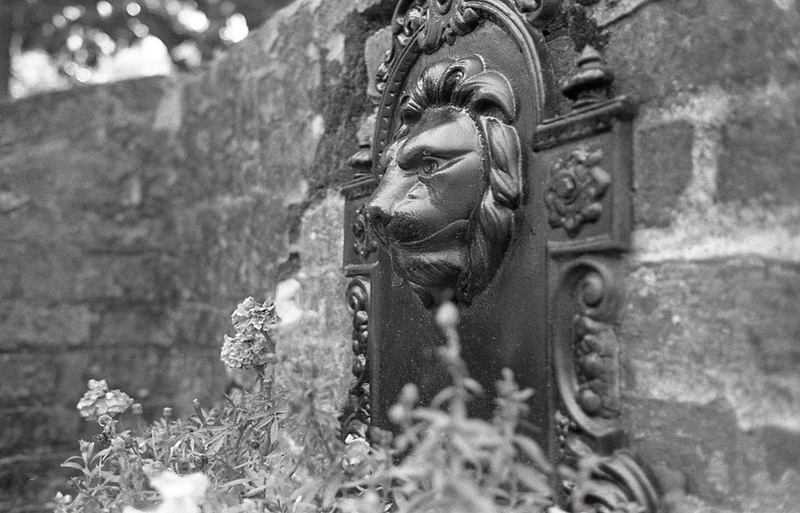 I think the next trip will require some Ilford PanF 50. Hope you like these, and look for more tomorrow. Here are a few more shots I held back from yesterday’s post so it wouldn’t be so incredibly long. 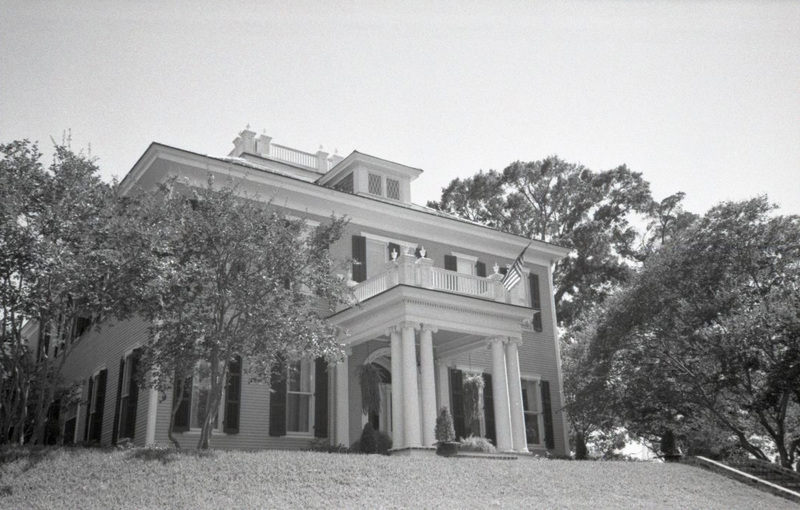 If you haven’t read the previous post that has the majority of the photos in it, these were taken with a Canon Rebel Ti film SLR and Ilford Pan F 50 black and white film. The photos were taken at the Chattahoochee Nature Center in Roswell, Georgia. They decided to take a break, but i was too eager to keep shooting. I got this stealthy photo of them relaxing before we continued on the trail. I do a lot of shots like this for some reason. I just love putting tree branches against a sky backdrop. I know it’s nothing too special, but I like it because of the darkness of the branches in the front against the sunlit branches in the background. Even now, I feel deprived that this is the only owl I have ever seen in the flesh. They are beautiful and mysterious creatures. 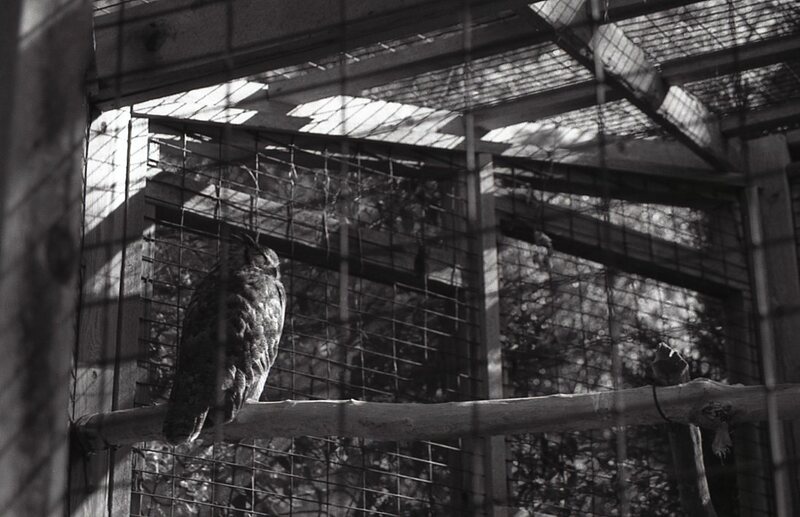 I’m not exactly sure why the owl was in a caged habitat unless it’s injured in some way. Thankfully Mr./Mrs. Owl didn’t mind me getting close enough to take a photo. That’s all of the shots from this roll other than the ones that actually did turn out a little shaky. Overall, I consider it a very successful outing. 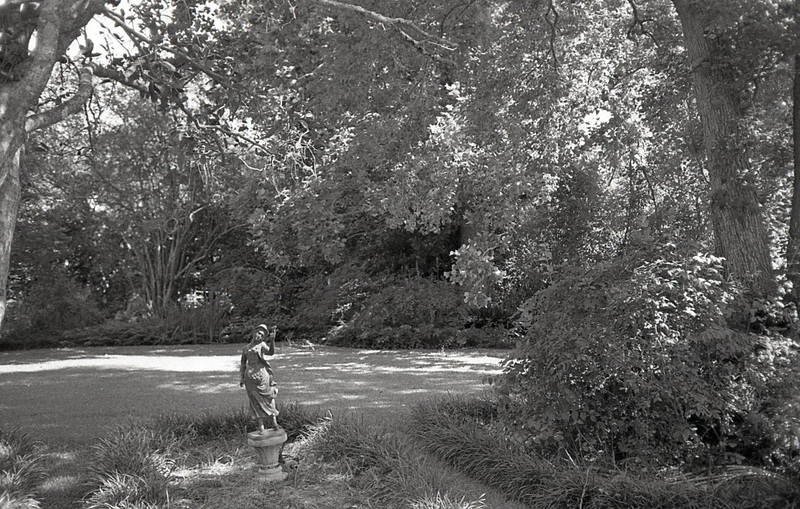 I am usually quite happy to get 2 or maybe 3 shots from a roll that I like. This only leads me to believe that I need to develop my photographic senses in the viewfinder AND when looking at the finished result. If weather permits, I’ll be posting some more new shots later this week. See you soon! Shopping in thrift stores is the one thing I love to do about as much as I love taking photos. Like anyone afflicted with the thrift store obsession, I have certain things I like to collect. 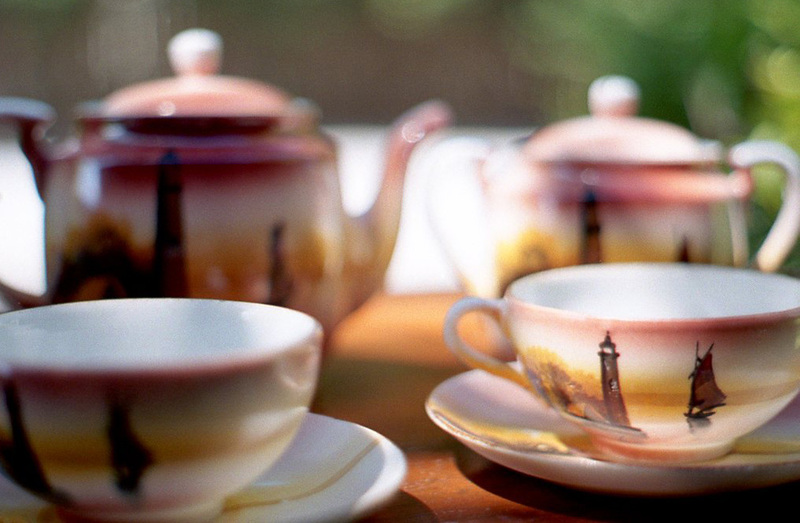 Among these are mid-century California pottery, cameras (of course), some Japanese porcelain figurines, and tea sets. I don’t even care if there’s a little damage to some of the pieces or if the set isn’t complete. A week ago, I happened upon a couple of early 1930s harp tables and decided that I would use them as a base for taking some still photography shots of some of the tea sets I have. 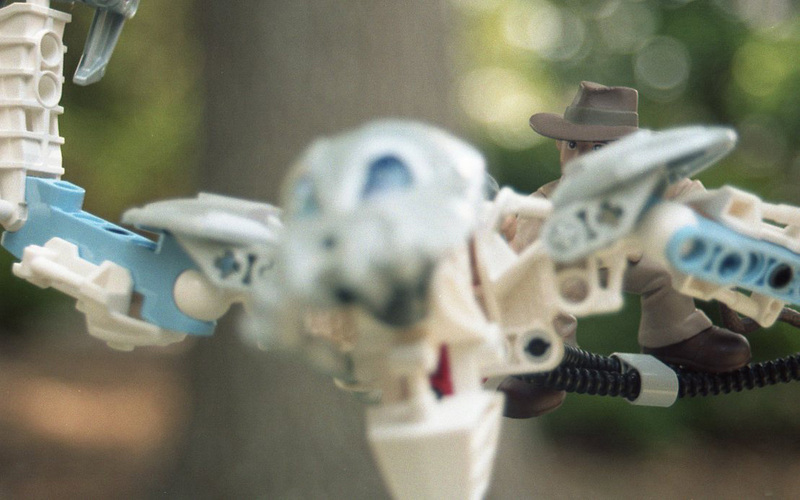 Using the same extremely shallow depth of field to showcase a certain detail or design, I took to task. The photos you see here are some of the highlights. Incidentally, these photos were taken with a Pentax K-1000 that was also thrifted somewhere in the midwest by my partner in crime. I cleaned it up and replaced its light seals the night before these were taken. Anyway, here we go! First up, the most complete set I have. Some gorgeous hand-painted Chikaramachi from Japan. 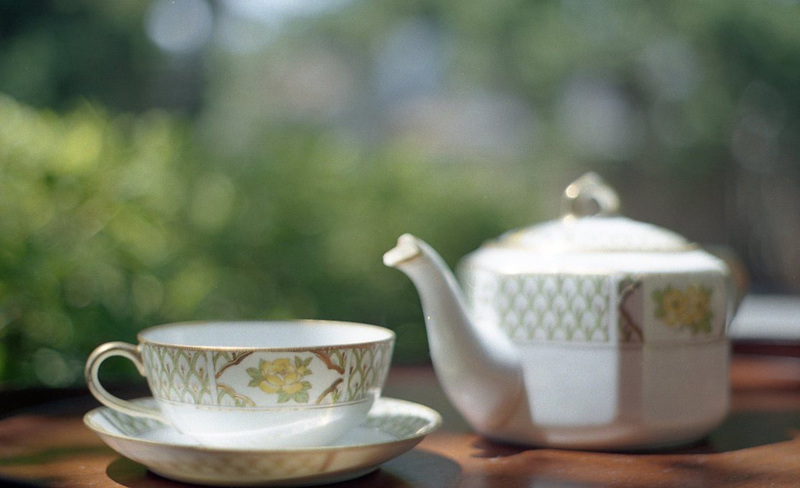 The teapot’s spout has some damage, which is the place most teapots are injured. Even with this damage, the colors and scenery in these pieces was just too gorgeous to pass on. I wonder whose pantry these were sitting in for 70+ years? Strangely fascinating. 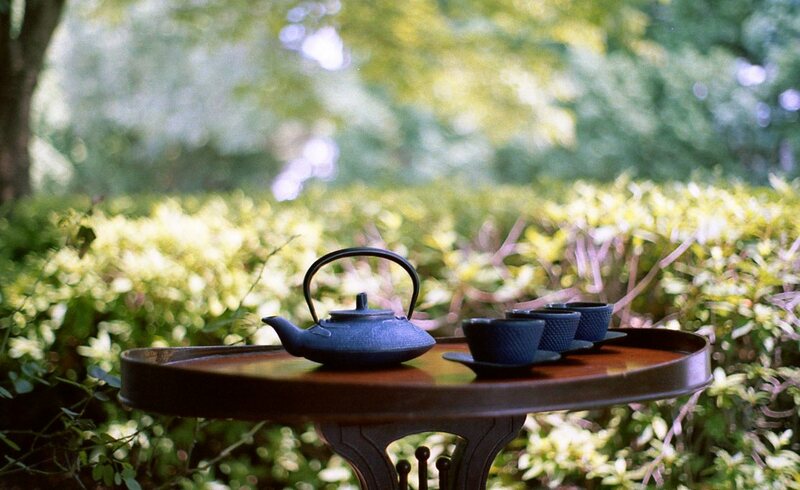 Next is a tetsubin with three tea cups and holders. 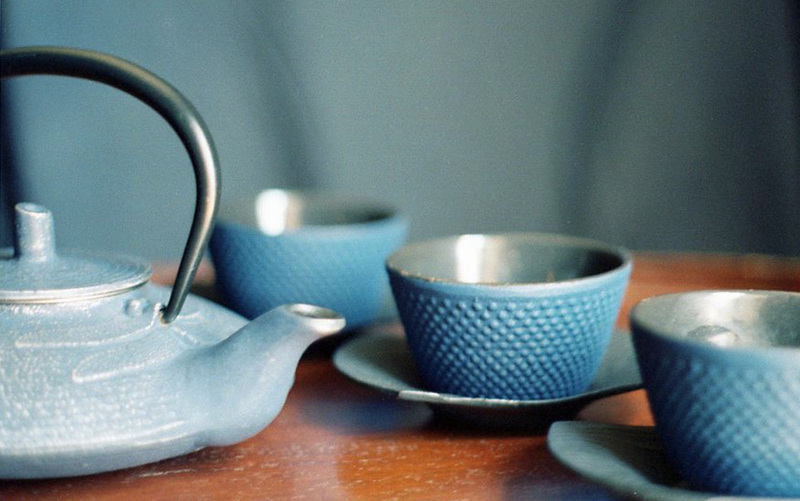 I’ve had the tetsubin for at least a year and a half, but these cups and holders came along a couple of weeks ago. I had been hoping to find something that would even remotely go with the set. Luckily, these came along. 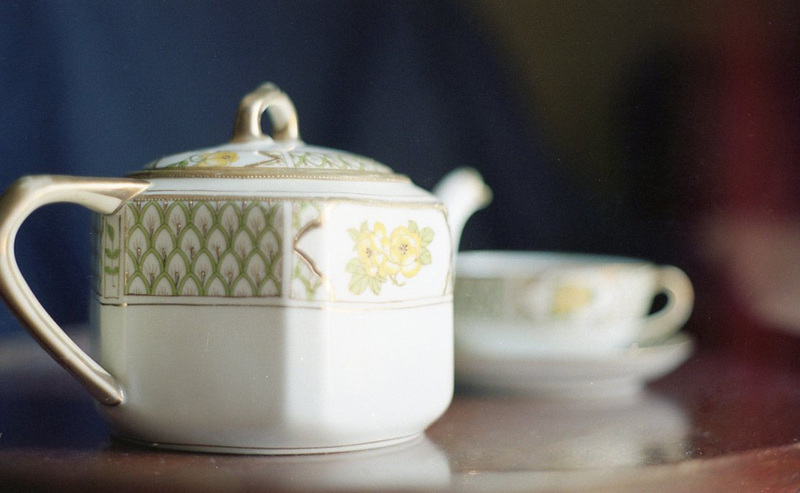 Finally, my most recent find was several pieces of a Nippon Noritake pattern. 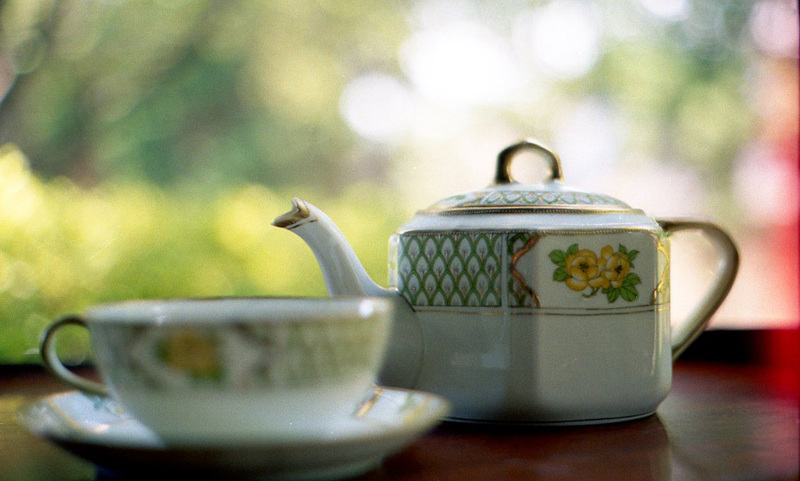 The teapot is badly damaged on one side, which I may show in a later project. For now, I wanted to let this girl show off her beauty in all its glory. Sadly, this is the only cup I was able to get. Luckily, there’s a saucer to go with it. I hope I can get my hands on more of this pattern. 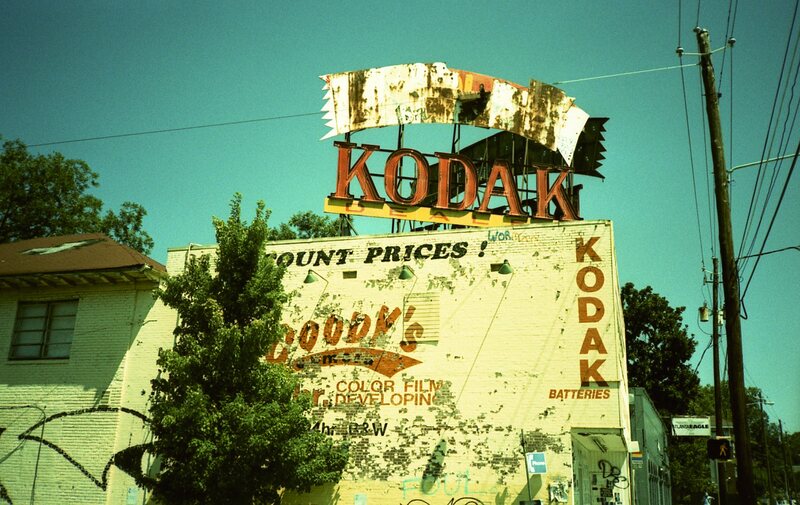 And to end this post, here’s my shameless plug for Kodak Portra 400. I was so excited about using the Pentax K-1000 for this project, I forgot to set the ASA on the camera to 400. The camera was set on 200 the entire time. On top of that, many of these shots were overexposed on purpose by about 1/2 stop. With latitude like this, I’ve already ordered and received another 15 rolls. Now if Autumn will just get here already. 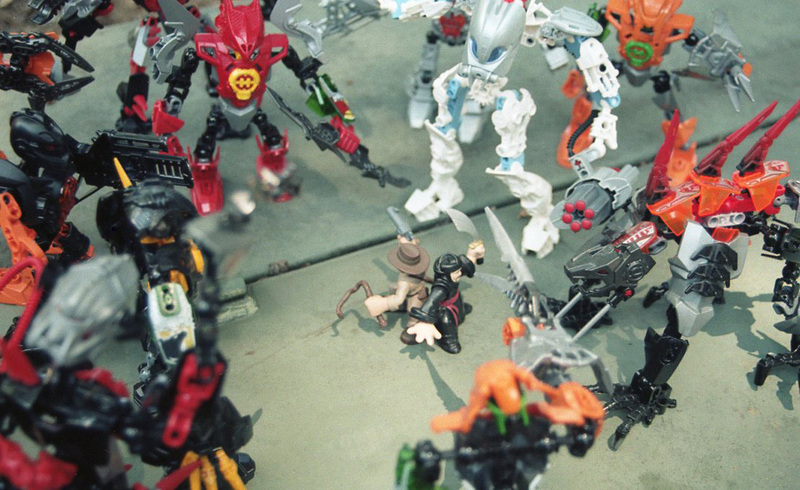 Portra 160 (Part 2) and the Robot Invasion! Here are more of the photos from the shoot I did this past weekend with my first roll of Portra 160. Enjoy. Huge apologies for dropping off the radar for an extended period of time. Life got stressful, pressing matters had to be dealt with. I humbly return with a whole slew of new work and upcoming projects. Make no mistake. I haven’t been able to post, but I’ve been reading and enjoying all the posts from those I follow. So without further delay, I hope you enjoy these. 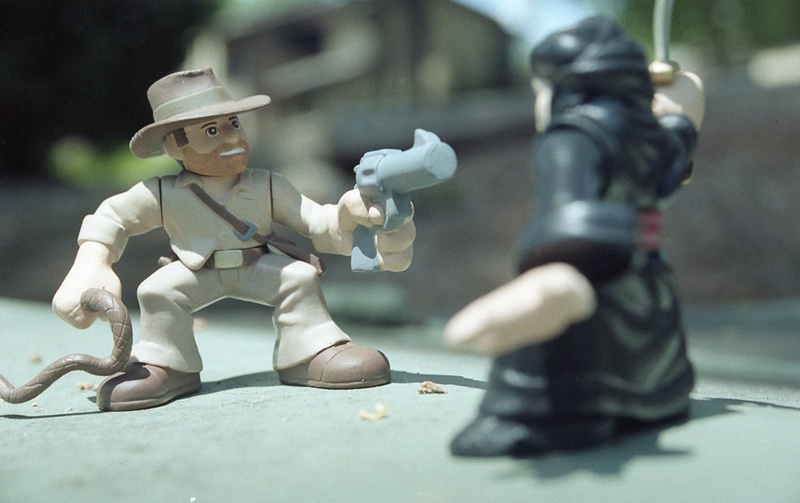 This was the first shot from a recently-acquired Olympus XA. What was meant to be a test roll turned out to be a treasure. 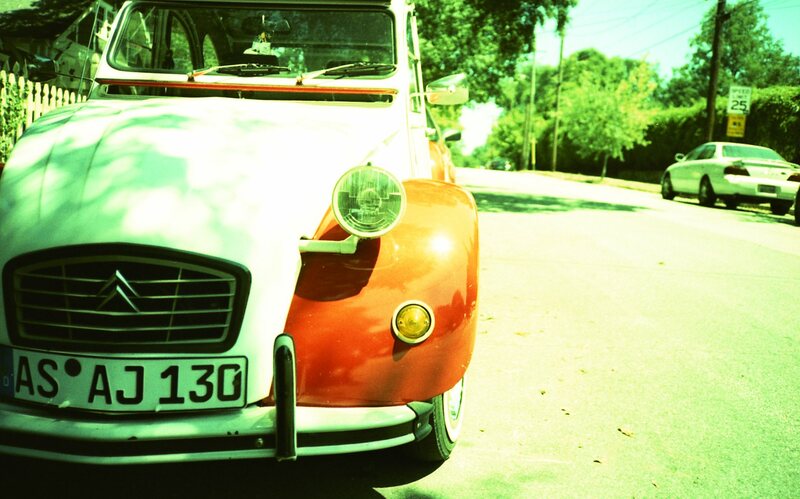 The film used for all the photos in this post was Agfa Precisa 100. The cross-processing accentuates the over-exposure in some of the photos, but I love them all the same. 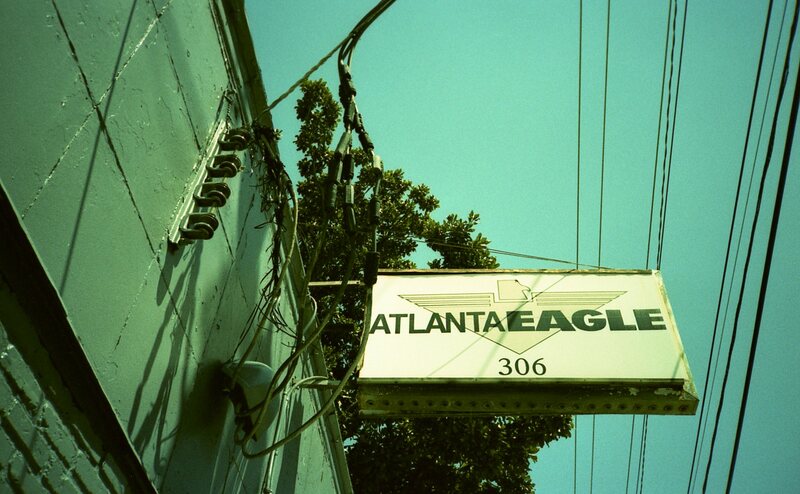 Atlanta Eagle. This is where me and my boyfriend have drinks and while away our Saturday nights. Definitely a different experience from any other pub/bar in the city. On a softer note. 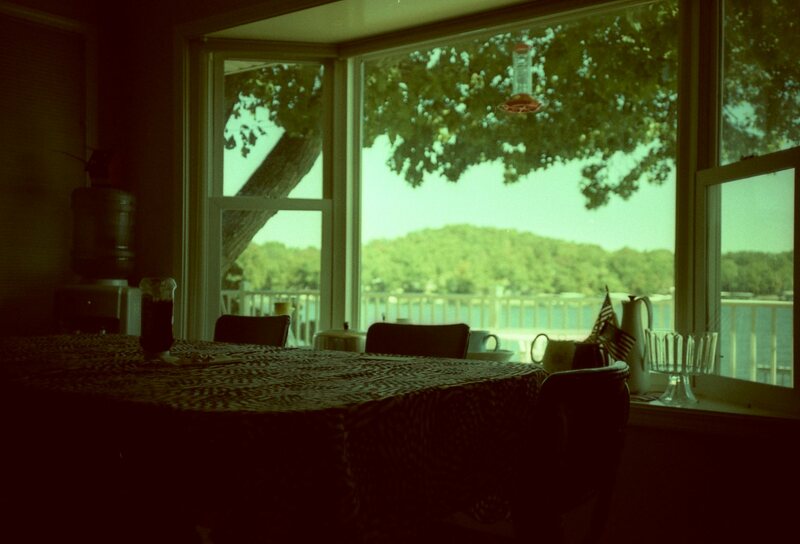 This was taken at Lake of the Ozarks in Missouri using the same XA. This little baby did such a good job, she’s been given a roll of Portra 160. I can’t wait to see how she amazes me. Thanks for reading. One of the things about using film cameras is that you don’t always finish the roll in a timely manner. My Elan II had the same roll of film in it for quite a while, which brought up a few surprises once I finally had the film processed. 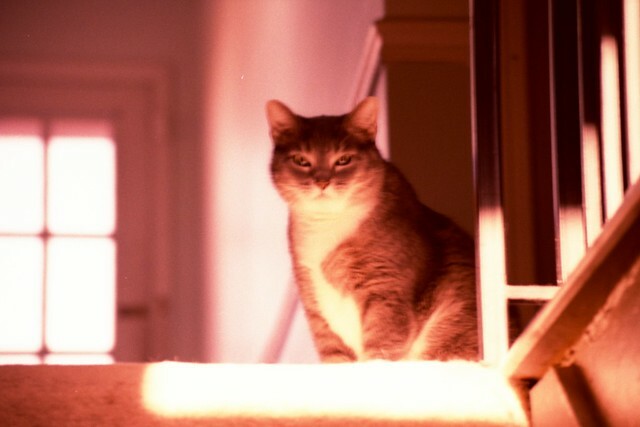 This roll was processed a couple of months after Ginji had left this world. I was a bit surprised when I got my negatives back and saw this image. I had taken several photos of him during his decline from cancer because I wanted to remember him. The photos showed him getting gradually thinner from lack of eating, and they were honestly very hard to view. Even now, his absence makes my heart heavy. This photo, however, shows him in his prime and in his favorite place to sleep when I would be away at work. The camera blur was a bit unfortunate, but not unexpected. I was crouched on the stairs trying to take a handheld shot like some sort of goofball. When I look at this photo now, it does remind me that I do miss him terribly, for he was truly one of a kind. But more importantly, the photo shows someone I love and reminds me that there was more than sickness to remember in our brief two years as friends. The blur almost gives him an ethereal quality. Yes, I’m trying to justify a mistake I made, but the image definitely made me look at him in a different way. I can only wonder how the photo would impact me had it been sharper, but it remains one of my favorite photos of him before he had to go.